That causes me to feel grief. . . Why are we not baptizing people? Christianity Today reported how SBC baptisms keep dropping but new churches keep increasing, and why they baptize hardly an millennials. The task force report itself is full of the actual statistics, and identifies potential problems behind the decline of baptisms. I don’t believe the sinner’s prayer is the final ending point of personal evangelism. Rather, a growing disciple is what I look for. The visible mark of the results of personal evangelism is baptism. For those Christian faith traditions that practice infant baptism, a renewal of baptismal vows would accomplish the same siginificant mark that a person is growing in faith in Christ. I don’t want to deviate into the arguments over mode or method of baptism, or even get into discussions of re-baptism of previously baptized infants. Those are side debates to the point here. The lack of baptisms simply reveals the disappointing truth that personal evangelism is falling apart. 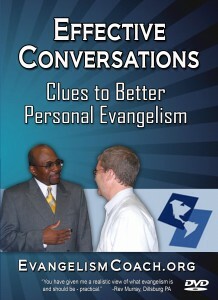 As I shared in a previous story, we once did contact evangelism in a local park. The Spirit of God had prepared a woman well in advance to receive Christ that afternoon. When we spoke to her spiritual thirst through our dramas, she felt her need for Christ. Tears had formed in her eyes. Hope was rising in her heart. Conviction of the brokenness of her own sin swirled the emotions from deep places. She sought out our pastor’s wife immediately after the short talk when the drama was over. This is where the sinner’s prayer served its purpose. It allowed her to respond to the power of God that was convincing her of sin and her need for Christ. She prayed with our pastor’s wife to invite Christ into her life. That week, she started attending our church. She took baptism a few months later and is now regularly sharing her faith. A similar park outreach is where Patricia did intentional evangelism which led to 2 baptisms in 6 months. Over the years, I have talked with several churches that have lost this vision of personal baptism. Their vision is survival, budget maintenance, or keeping the sheep well fed. For them, the important focus is all about discipleship. I don’t sense any excitement about the gospel’s power of redemption. instant pessimism that 10 baptisms are not possible. No vision for personal baptisms suggests they have lost the vision to reach people for Christ. There is no excitement about what Jesus can do to transform a life. I wouldn’t want to stay involved in such a church. Even if I came for a few weeks because the people were nice and welcoming, I don’t think I’d stay long term if the church doesn’t have a compelling vision to reach the lost. Personal baptism is why I give evangelism training. I want to help churches increase the number of baptisms. Baptism is what gives me joy as an evangelist. You can have the joy of introducing a person to Jesus Christ. Watching people awaken to their faith in Christ because of your personal evangelism work is one of the greatest joys you can experience as a Christian. Being there when they take the step of personal baptism is an emotionally charged moment – you planted the seed, you watered the seed, and now you see the fruit, right in front of you. It can be one step to increasing the number of personal conversations that you have that could lead to seeing your friends get baptized.